Jerome D’Ambrosio took a podium in the first race of Formula E’s Season 5. 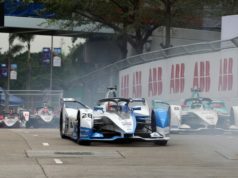 His Mahindra Racing teammate Felix Rosenqvist could not finish the race. 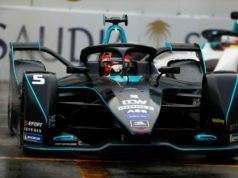 The Ad Diriyah E-Prix had a disrupted start when unexpected heavy rain forced organisers to cancel Free Practice 1 and delay Free Practice 2. Due to the timing delay the organisers amended the qualifying format. There were two groups of 11 drivers, rather than the usual four groups. Also, they called off Super Pole. In the wet qualifying session, on a drying track, D’Ambrosio went out in Group A and set a fastest lap time of 1:19.077, securing a sixth place start. Rosenqvist headed out in Group B but was unable to complete his qualifying lap. That was due to a mechanical failure on the car. The result was an accident when he was on course for a top six time. 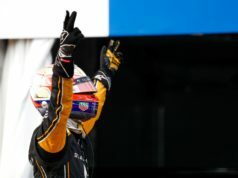 He began the race from 17th on the grid. On lap 21, he overtook Sebastien Buemi to move up to fifth. A lap later Jean-Eric Vergne and Andre Lotterer had drive-through penalties for technical infringements. 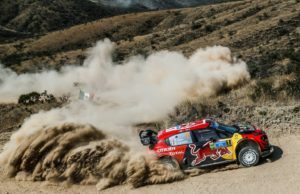 They pitted from first and second, which moved Jerome up into the top three behind Antonio Felix Da Costa and Jose Mario Lopez. On lap 23 Jerome overtook Lopez for second position and was running comfortably there until a safety car bunched up the pack. 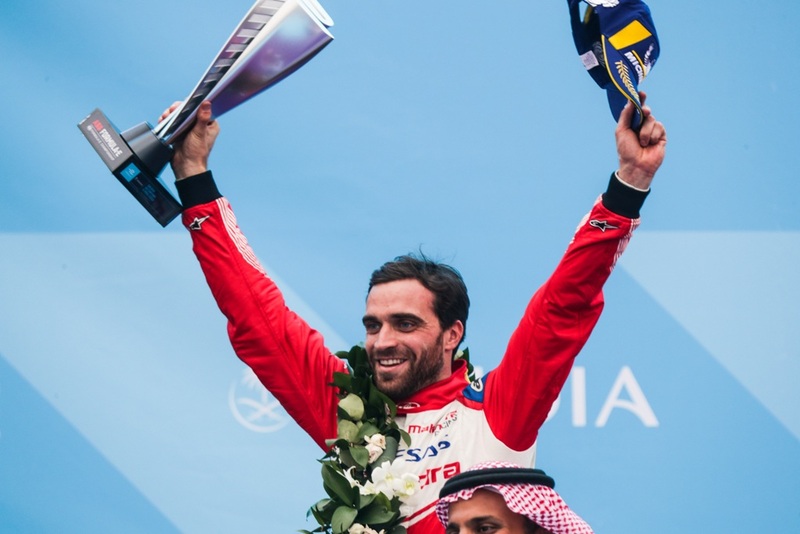 On lap 30, after the restart, reigning Champion Vergne overtook him, putting him P3, the position in which he took the chequered flag after 33 laps to secure his and Mahindra Racing’s first podium of the 2018/19 season. “It’s an amazing way to start Season 5 and I think there are good days ahead of us if we keep working the way we do. I played it safe at the beginning to try to save some energy but stay close enough to fight for position. I’ve had a difficult couple of seasons so it’s great to start this new relationship with the team in this way. Going forward, we have to start fighting for the championship. 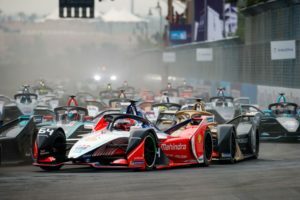 There are some tough competitors out there as Formula E is becoming one of the most competitive championships in the world”, D’Ambrosio commented. He made an impressive start which saw him move up to 14th by the end of the first lap. Then Felix overtook Gary Paffett and Nelson Piquet Jr by lap 6, which saw him in reach of points. But he retired the #94 on lap 8 after suffering the same technical issue that halted his qualifying run. 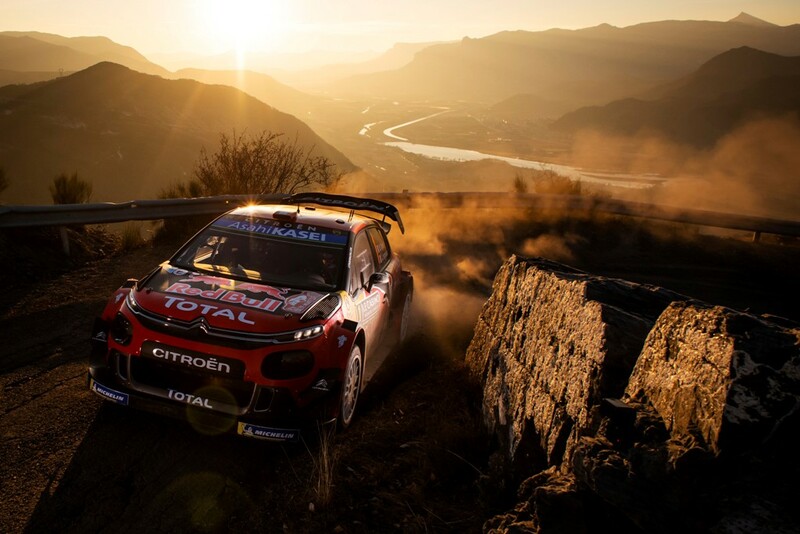 “The car felt like it had a lot of speed but it was a bit tricky to drive; it wasn’t one of those days when you felt really confident but we didn’t have much practice so everything was a bit of a guess. Then we had a mechanical failure in qualifying which caused us to have a big shunt and in the race the same thing happened but I was able to park the car. I’m sad I couldn’t score any points for the team and it’s a shame as I think we could have had a really good result but it was fun to be back and I’m really happy for Jerome and for Mahindra on the podium”, Rosenqvist said.